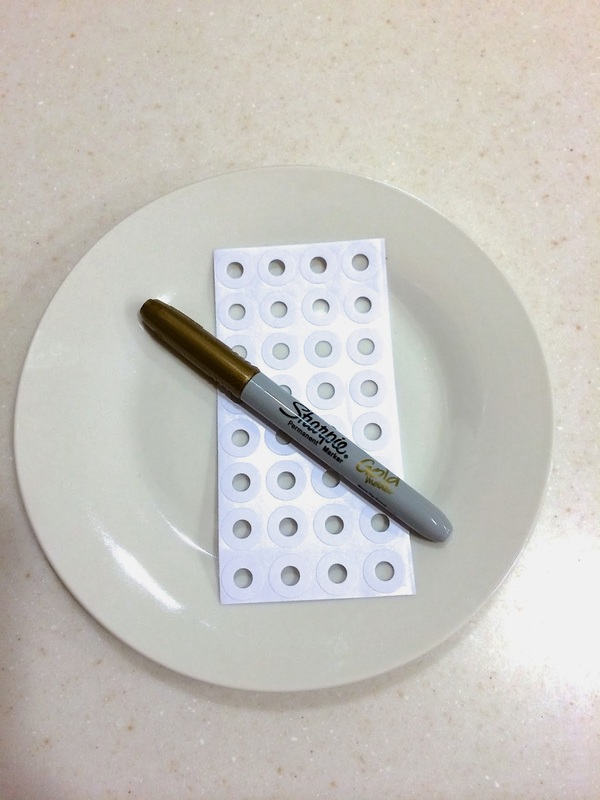 Today I have a fun little DIY project for you. 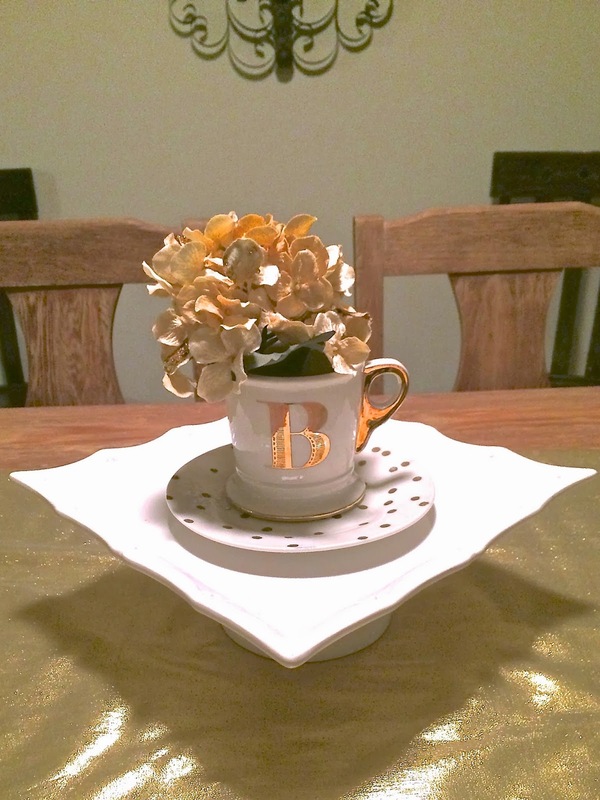 I have been obsessed with gold dots for quite some time now and last year (lol ok a couple months ago) I was on the prowl for some decorative dishes for jewelry and other odd items around the house. However, each time I saw them for purchase like the Kate Spade ones, I about choked on the prices. So, off to the dollar store I went and decided to make my own PG style. 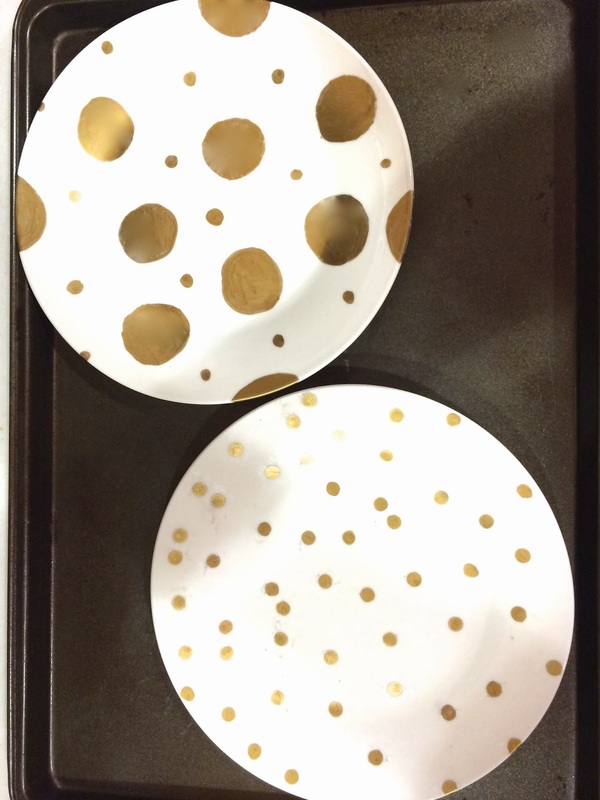 If you are not a brave DIY'er like moi, then Macy's has the Kate Spade Dot Dishes that are super gorgeous! 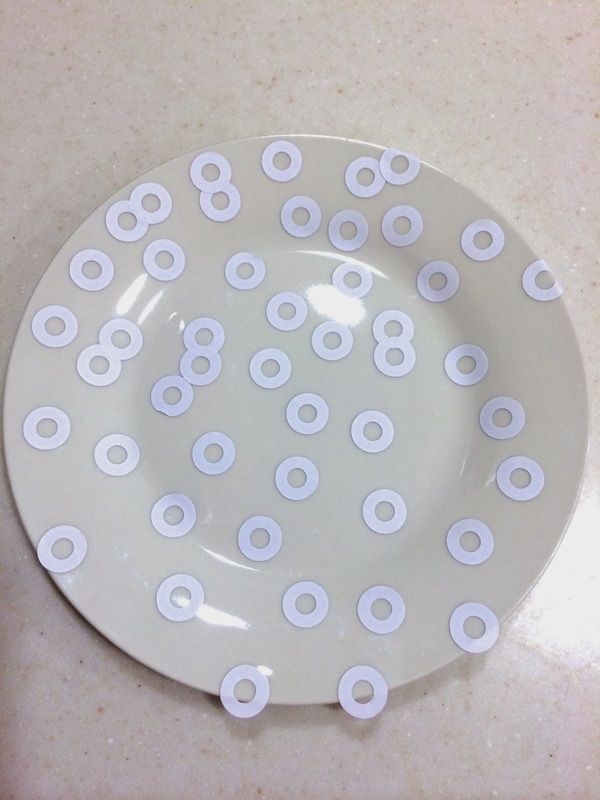 You can find the plates here, here & here or shop the pictures below! Love this! I am doing it to my mug as soon as I get home! Omg I need to do this! Love it! These are so cute! I never thought of using the hole reinforcements! Great idea! Thank you for sharing.